Ladies Jeans Stretchable. Customization welcomed. Catering to the demands of customers as a prominent firm, we are engaged in providing our clients with Laser Print Ladies Jeans. The Jeans for Womens Fashion provided by us are available to clients in a range of fancy and colorful designs. Keeping the diverse requirements of the customers in mind, our company is involved in offering superb quality range of Ladies Jeans. Keeping the diverse requirements of customers in mind, we are involved in providing supreme quality assortment of Womens Jeans. 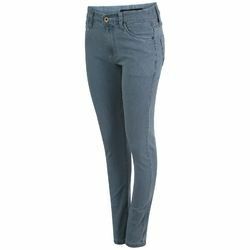 These Womens Jeans are available in 4 different sizes which are S, M, L and XL. To attain the maximum satisfaction of customers, we provide this product at market leading price.